Heat oven to 350°F. Spray large rimmed baking pan with cooking spray. Place bacon slices on pan; bake on lower oven rack 16 minutes. Meanwhile, separate dough into 8 biscuits. Line large cookie sheet with cooking parchment paper. Place biscuits on cookie sheet. Place on top rack in oven; move bacon to top rack as well. Bake 18 to 22 minutes or until bacon is crispy and biscuits are golden brown; if one is done before the other, remove from oven. 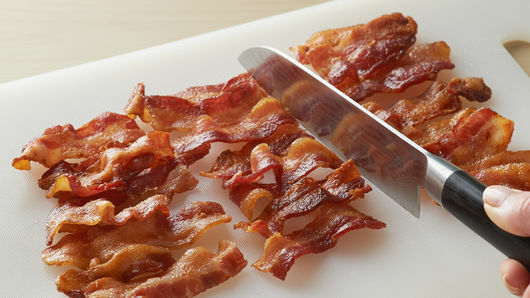 Drain bacon on paper towels; cut or break each piece in thirds. Cool biscuits on cookie sheet 2 to 3 minutes or until cool enough to handle. 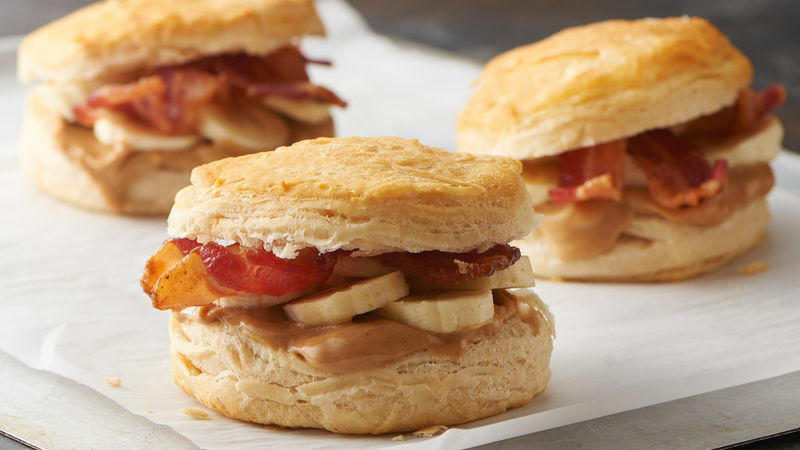 Split each biscuit, then spread bottom half with 1 tablespoon peanut butter. 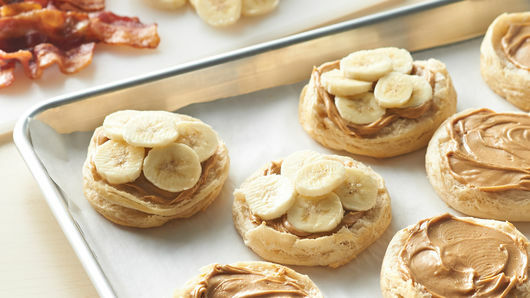 Top with one-fourth of one banana, then top with 3 bacon pieces. Top with biscuit top. For extra texture, use crunchy peanut butter instead of creamy in this recipe. Be sure to use regular (thin-cut) bacon for this recipe. Thicker bacon would take much longer to cook.